How to check Website Backlinks? How to index the Website in Google faster? Answers to all these questions are ‘Google Webmaster‘.Yes, a single tool can answer your all above-mentioned questions. Google Webmaster, also know as Google Search Console is a web service provided by Google. It helps users to get the updated status of their blog or website. Google Webmaster helps users to check the indexing, backlinks, and visibility of the website or blog. In simple words, Google Webmaster is a personal account of your website or blog. It contains all sensitive information about your site. For example, how many of your web pages are indexed by the google? The answer to this question will be available in this webmaster account. Hence, Google Webmaster is a report which will show detailed information about the health of your website or blog. The best part of Google Webmaster is that this is available for free of cost. Anyone with a blog or website can create an account on Google Webmaster for free of cost. Of course, you can add as many as the website you want. It is free for an unlimited number of sites. Just think of any problem related to your website and I am sure Google Webmaster will have a solution for you. 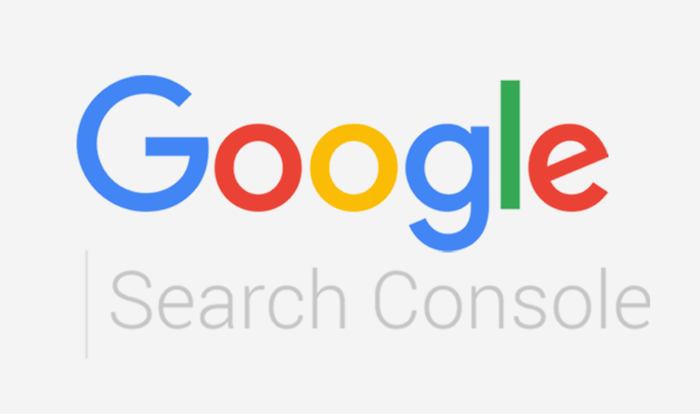 It was in the year 2015 when Google changed its name to google search console, so do not get confused if you get the results for search console instead of google webmaster. Next, in the year 2018, Google Webmaster changed its dashboard look. Though there is a change in the look of the account, the name of the features is still the same. So, it does not matter, whether the article is written for the old or new webmaster account. But, don’t worry. Where ever it is applicable, I have considered new google webmaster account for this article. So, this article is based on a new webmaster account and it is up to date. Here are the ways (A to Z Guide) to optimize your webmaster account for your website or blog. To start using Google Webmaster, you need to first create a free account on it. Once the account is created, add your website or blog you’re going to analyze. But before analyzing, you need to verify ownership of your website. There are four ways to verify your site. I strongly suggest Google Analytics option to verify the ownership of your site. This is because you may be already using google analytics to track your website. Hence, why should you use any other method? 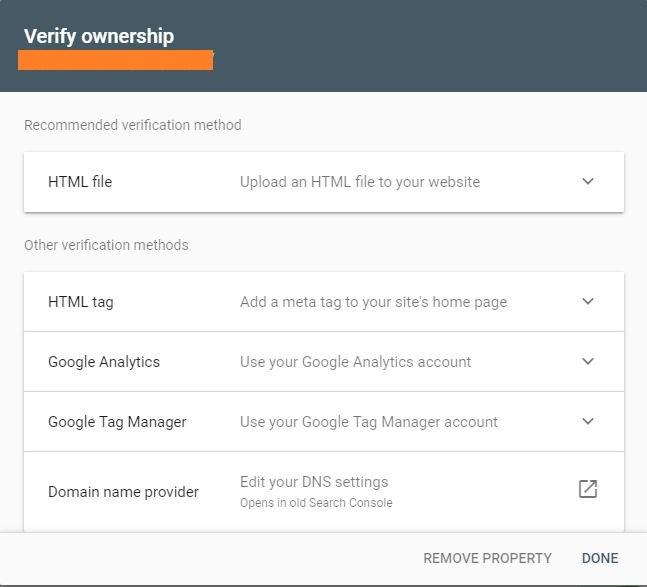 You can verify the ownership using same google analytic meta tag information. Yes, this is a one-time activity. Once verified, you will have the access to all sensitive information to your site. Remember, Google Webmaster is for your own website or blog. It will not work for your competitor site. This is because you can’t verify the ownership on behalf of your competitor. Once your ownership is verified, this is how your dashboard will look like. If you find something different then don’t worry. It means you have been redirected to old dashboard. In this case, just check at the top of the screen, there is an option to go to the new dashboard. Click on that option to go to the new dashboard as shown in above-attached image. On the dashboard, you will find the visibility details of your site. For example, to get the list of all web pages indexed by the google etc. If there is any crawl error then it would appear here on the dashboard. Ensure there is no crawl error if you really want to optimize your site for google search engine. Next, at the top of the dashboard, there is an option to inspect any given URL of your site. You can use this feature to get the updated status of given URL and can request indexing if it is not got indexed by the google. Hence, whenever, you published any new blog post on your site, you can use this option to get it indexed immediately. All you need to do is paste your link in the given box and hit enter to check it indexing status. Next, if it is not indexed then you can request indexing using the same tool. Within a second, you given URL will start appearing in Google Search Results. In simple words, this option is used to find the status of a particular given URL link. The dashboard will show you the basic things only. Hence, it will only show the number of your web pages indexed by the google. But, what if you want the details list of all those web pages which are indexed and not indexed by the google. In this case, ‘Coverage’ will help you. It will provide detailed information about your site visibility. If your site has any crawl error then it will show the exact error and the web page where it is located. In simple words, it will give you the detailed information webpage wise. As the name suggests this option will allow you to submit a sitemap for your site. Next, here in this feature, you will find the all detailed information related to your sitemap. As the name suggests, this feature includes the list of websites linking back to your site. So, if you are looking for free backlink checker then this feature will work best for you. Do you know? Till date, I have not found any other tools which are as effective as Google Search Console Links status. Yes, it is only the webmaster account, where I always find the list of all linking domain at free of cost. Trust me, if you simply want the list of backlinks then this feature will work best for you. In fact, no other tool is as good as Google Webmaster. This is a new feature added by Google in its webmaster. You will not find this option in the old webmaster account. Here, as the name suggests, you will find the data related to your AMP supported pages. If AMP version is not active on your site then this feature will show empty data to the webmaster. 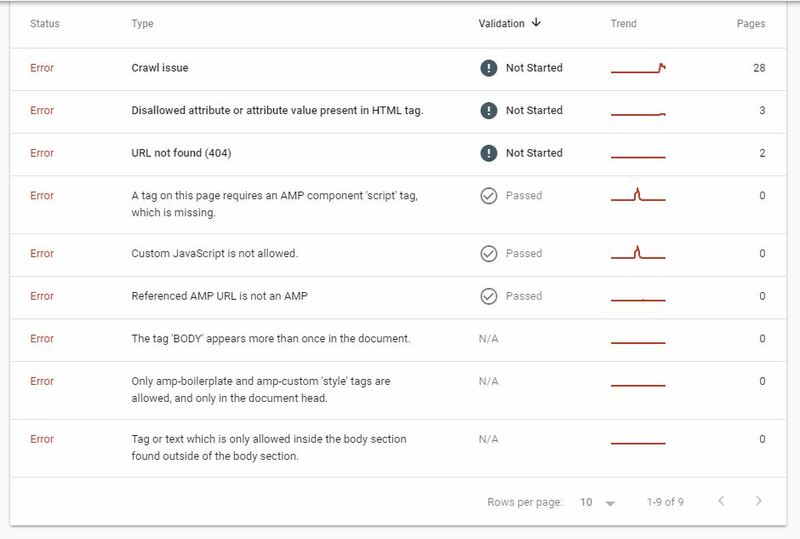 As shown in the below-attached image, all the information related to your AMP web pages will be available under this feature. Similarly, there is an option for Mobile Usability. Like AMP, your mobile site related data will appear under this option. That’s all for the new Google Webmaster account. The new webmaster account is still under construction and all thereby all the features are not available in it. For other features, we need to refer the old webmaster account. So, let’s discuss the other features (pertaining to the old webmaster account) below. If you don’t know how to go back to the old version then login to your new account and select ‘Old Version’ option for the left navigational menu. This option is given at the bottom of the left navigation menu. Click on that to go back to your old version of Google Webmaster. Now, suppose you want to remove particular URL from Google search result then this feature will help you. Using this feature you can remove any particular URL or directory from the search results. All you need to do is paste particular URL in the given box and select appropriate option to remove it from the search results. This feature works best if you want to remove any particular URL from the google, which was by mistake got indexed by the google and you do not want to show it in the search results. Next, the very important feature available in old Google Search Console is ‘Robot.txt Tester’. Robot.txt file is a standard used by the website to communicate with the web crawlers. In simple words, it tells web crawlers what to index and what not to indexed in the search engine. For example, if you don’t want to show your backend admin web page in the search result then it can be controlled through the robot.txt file. You can ask Google, not to crawl your admin page in the google search engine. Above all are the necessary features of the Google Webmaster or Google Search Console. Besides these, many other features are also available in the webmaster account. For example, Manual Action, URL parameter, HTML Improvement, Rich Cards etc. Google Webmaster or Goggle Search Console is a must application for an online entrepreneur or blogger. If you own a website or blog then you should open an account on Google Webmaster. Trust me, if you learned how to optimize your google webmaster account then you can easily rank your website on the first page of the google. Google Webmaster is the key to successful website or blog. At last, if you face any problem in using any features of the search console account then feel free to contact us or share your message in the below comment box.